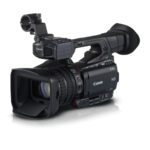 For refined and compact performance that’s made for everything from movie and television production to event recordings, Canon’s XA30 Professional Camcorder is a solid and affordable choice. 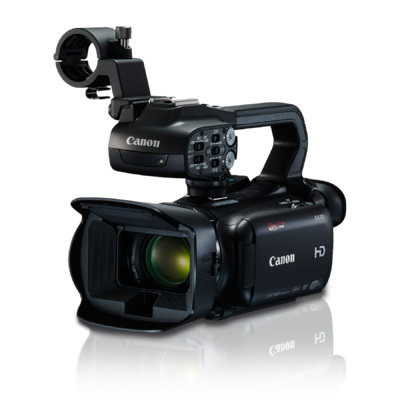 Whether producing films, recording weddings and more, the XA30 offers an impressive combination of portability, image quality and reliable operation. 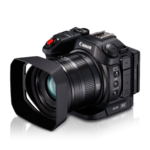 It features a Genuine Canon 20x High Definition Optical Zoom lens, a newly designed HD CMOS Pro Image Sensor with improved low-light performance and new Wide DR Gamma and Highlight Priority modes that help capture an extended, seamless range of colours and tones virtually consistent with how they’re seen by the naked eye. A new interval recording option expands the XA30’s abilities for creative animation and motion effect Full HD video capture with fast motion of up to 1200x the original speed. 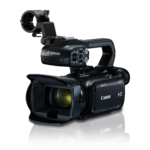 From movie productions to events to company presentations and more, the XA30 delivers outstanding video with portability, high quality and great versatility.